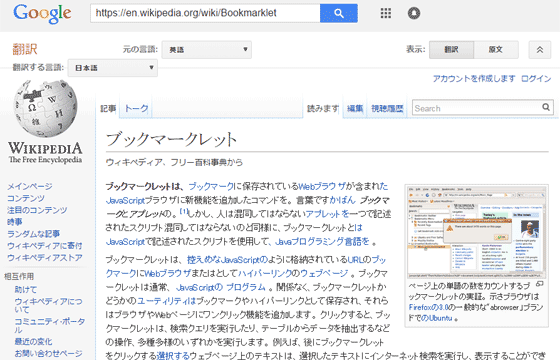 現在読んでいる外国語のページを翻訳サイトに流し込んで読むためのブックマークレットです。GoogleとYahoo!と選べます。You can get some bookmarklets to read any web pages via translation site. 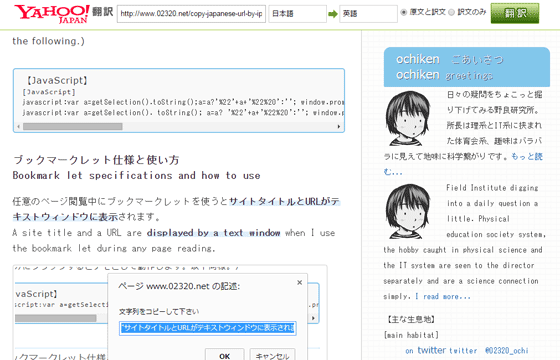 You can get some bookmarklets to read any web pages via translation site. 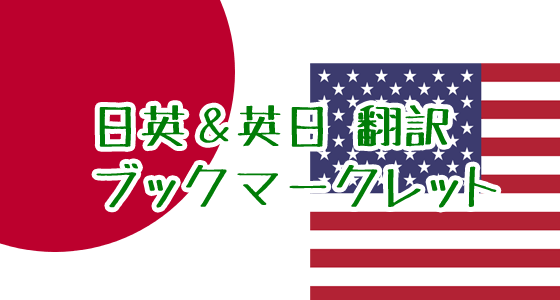 It works to convert from Japanese to English. See the latter part of this article. 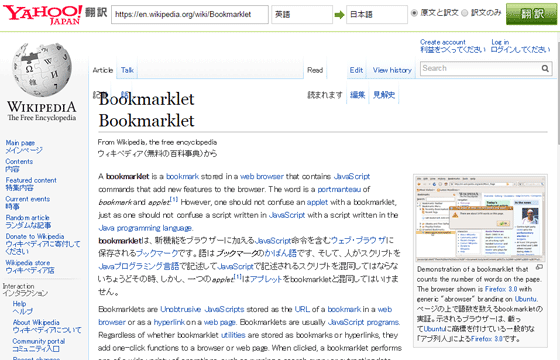 Installation of a bookmarklet is performed by creating a new bookmark, and pasting the code into the URL destination field. In some cases, original functions are not working like a web fonts. 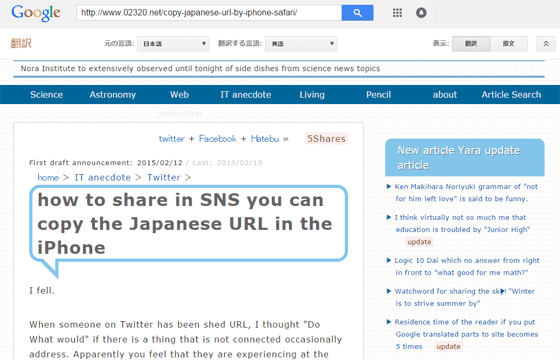 This capture shows Yahoo honyaku translation. Copyright©おち研 2012-2019 All Rights Reserved.